Australia's favourite coffee, delivered to your desk! 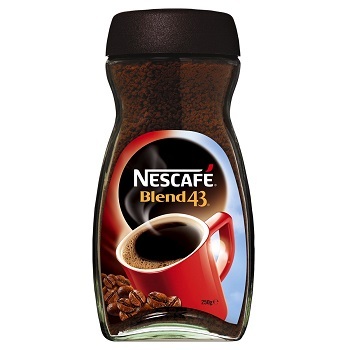 Experience the rich aroma of slow roasted coffee beans as you enjoy the well rounded, balanced flavour that is NESCAFÉ Blend 43. Handy 250g jar of coffee. 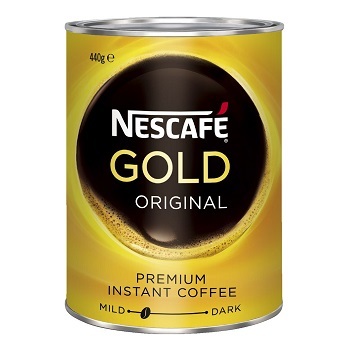 Individual 500g tin of coffee. 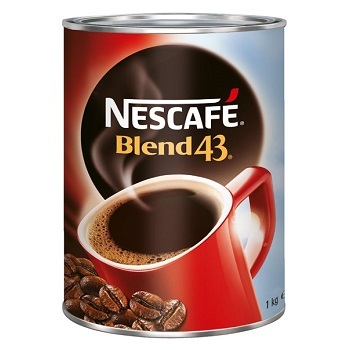 Large 1 kg tin of coffee. BEST SELLER. Australia's favourite coffee, delivered to your desk! 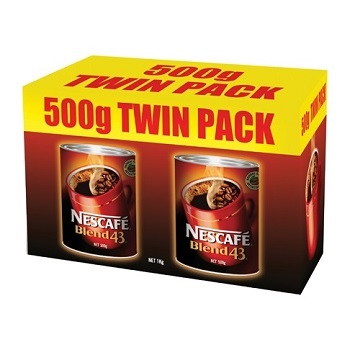 Economical twin pack of 500g tins of coffee. Australia's favourite coffee, in convenient portion control sachets. 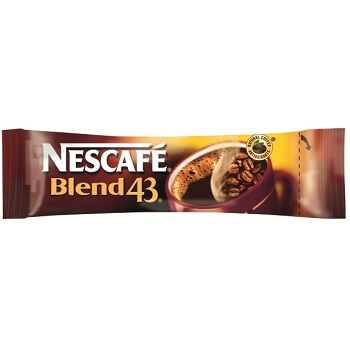 NESCAFÉ Blend 43 is a high quality, consistent coffee with offers a rich aroma and well balanced flavour with every cup. Carton of 1,000 portion control sachets with 1.7g contents. With NESCAFÉ Gold Blend, you can enjoy the smooth rounded flavours of golden roasted Arabica blended with a handful of Robusta beans. Coffee for connoisseurs without the hassle of brewing. Freeze-dried to keep the flavour. Smooth rounded flavours with hints of caramel. 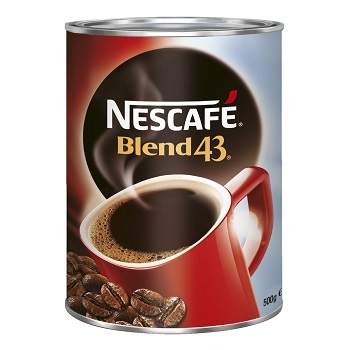 Individual 440g tin of coffee. 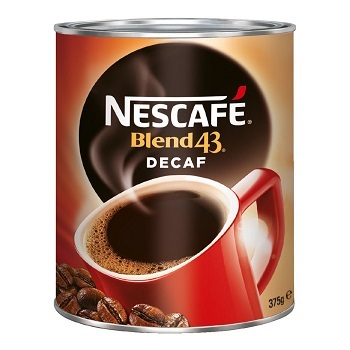 NESCAFÉ Decaf has all the great taste and rich aroma you'd expect from NESCAFÉ coffee but without all the caffeine. They only use water in their exclusive process to extract most of the caffeine from the coffee bean. 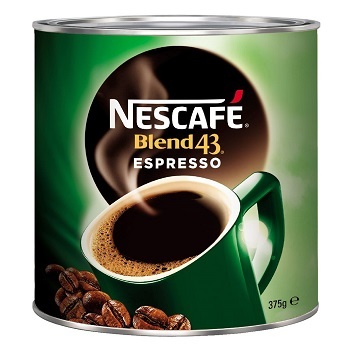 Individual 375g tin of coffee. NESCAFÉ Espresso captures the spirit of the great coffee houses in Europe. A select blend of arabicas together with other carefully chosen beans of distinctive character are blended, then high roasted to give you a truly strong and distinctive coffee experience. 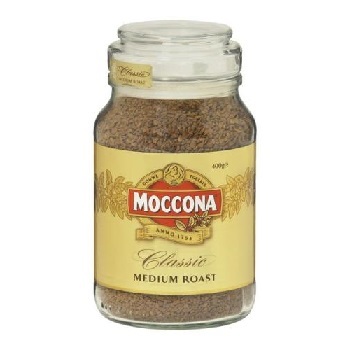 A blend of specialty Arabica and Robusta coffee beans have been carefully selected to make Moccona Classic the most original coffee experience. A smooth taste with a full-bodied flavour and rich aroma. Individual 400g Jar of coffee. 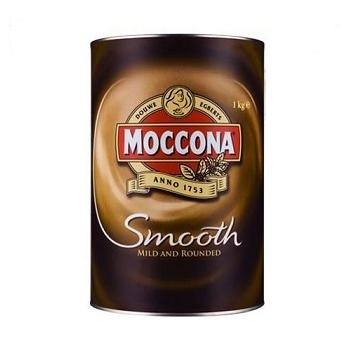 MOCCONA Smooth is a mild, rounded taste, lightly roasted for a subtle flavour. For easy drinking and a great tasting coffee. 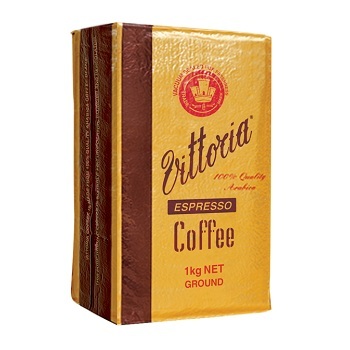 Vittoria’s original and iconic blend, Espresso has remained unchanged for over 50 years. This blend of 100% Arabica coffee beans is darkly roasted to deliver the strong flavour of traditional Italian espresso. Suitable for Plunger, Caffetiera, Percolator and Dripolator. 1kg pack (Brick) of Espresso Ground Coffee. 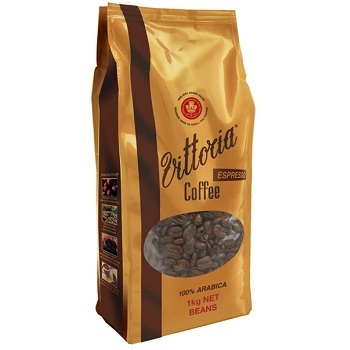 1kg pack of Espresso Coffee Beans.